What is the Best Dog Food to Gain Weight and Muscle? How Can You Tell If Your Dog Is Underweight? What Can Cause Lower Than Normal Body Weight? What Are The Nutritional Needs Of An Underweight Dog? Just like the process of losing weight can take months, healthy weight gain won’t happen overnight. To put on some extra pounds, your dog should ingest more and burn fewer calories. Smaller meals For healthy weight gain, you should feed your dog more frequently with smaller meals. Eating smaller meals will prevent digestion problems. 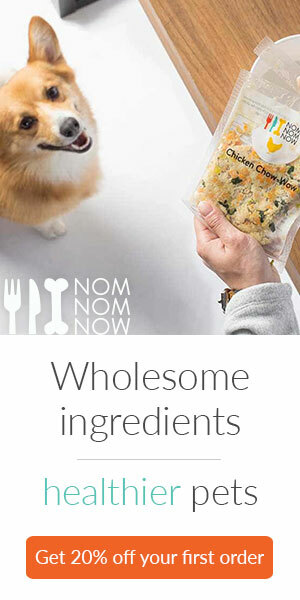 Also, it’s a healthy way of including more calories in your dog’s diet. High-calorie treats and supplements Include high-calorie treats and supplements into your dog’s balanced diet. Make sure that the dog treats are full of proteins and fats to speed up the weight gaining process. Puppy food A high-calorie supplemental canned food for puppies can be a good way of including more calories into your dog’s diet. Just make sure that your dog needs that amount of calories, since eating this type of food can cause obesity. If your dog is presenting some or all of these signs, take him to the veterinarian. Your vet can measure his exact weight and run the necessary tests to exclude diseases. Excessive exercise: Some dogs lose weight because they are highly active and don’t eat the right quality of food that contains all the necessary nutrients. Picky eater: Some dogs don’t like the food you are giving them. Until you find the taste that they love, they’ll refuse to eat anything. Old age: When dogs get older, they tend to lose weight and muscle tissue. If this has happened to your dog, it’s best to pick a dog food that is rich in protein and calories. Health issues: Some of the most common diseases associated with weight loss in dogs are: dental problems, gastrointestinal problems, diabetes, internal parasites, and cancer. For dogs that only need to gain a little extra weight, there are also options for an excellent high-calorie dog food supplement. These contain vast amounts of calories. Most common are liquids that you mix with food and water or edible gels. Best Dry Dog Food For Weight Gain: Like all their formulas, this one also contains three different types of meat to fulfill all of the dog’s natural cravings. This flavor is specially made to have smaller kibble and significant amounts of high-quality ingredients. Making it the best dog food for pitbull puppies to gain weight. With 28% of crude proteins and 17% fats and no grains, this provides well-balanced nutrition that will advance the growth of your pitbull puppy. The main ingredient, bison meat, is accompanied by sweet potatoes, peas, and tomatoes to help with digestion. Fruits like blueberries and raspberries are the source of vitamins that will keep your puppy healthy and robust. With 370 kcal/cup, this is well-formulated dog food. It contains all antioxidants, chelated minerals, omega 3 and 6 fatty acids needed for daily feeding and growth. Best Dog Food For Pitbull To Gain Weight: With Bully Max high-performance formula, you can be sure that your dog will gain weight the healthy way. This food has a steep price tag, but it’s worth every penny. In fact, it’s the number one formula in the high-calorie category. It sports 30% crude protein making it the best dog food for pit bulls to gain muscle. With an incredible 535 calories per cup, there’s no better choice for pit bulls to gain weight. The main ingredient in this formula is chicken meal, which is very nutritious and contains much more proteins. Brown rice and pearled barley make the food easily digestible and are suitable carbohydrates for dogs who have allergies. This formula is suitable for all dogs, including pregnant and nursing ones. And with the full label disclosure that this brand has, you don’t have to worry about low-grade hidden ingredients. With 30 % crude protein and 20 % crude fat, this formula focuses on muscle development and growth. This food also contains all the essential vitamins and minerals. Combined with omega 3 fatty acids for coat and skin quality they will keep your dog healthy. High Fat Dog Food: This formula is for highly active working dogs who need a lot of energy. Still, it’s an excellent choice as a weight gain food. With 30% crude protein and 20% crude fat, this is concentrated nutrition that will support weight and muscle gain. This is a specially designed formula that provides all the essential nutrients for all dogs. With only 3% of crude fiber, this formula contains brewers rice and corn, so it isn’t grain free. Therefore, this dog food’s a lousy option for dogs who have allergies. With 475 calories per cup, this is a high-calorie food for active and dogs who need to gain weight. The Sport formula has all the necessary vitamins, minerals, and omega 3 fatty acids. They’ll keep your dog healthy while he continues to gain weight. Grain-Free Food To Help Dog Gain Weight: This is a dry food formula that contains 30% crude proteins, and it provides a balanced high-calorie diet at a budget-friendly cost. The source of protein is chicken and the fat as the primary energy source is animal based. This is a balanced diet for daily feeding that will help with your dog’s weight and muscle growth. It’s a grain-free formula, with only 3% of crude fibers like sweet potato that are easy to digest and full of healthy nutrients. Smart Blend contains 17% of crude fat that is a little bit lower compared to other weight gain foods on our list. But considering its fat levels, this formula includes more than enough calories to help your dog gain weight the healthy way. This food contains four antioxidants sources, glucosamine, and omega-6 fatty acids. They’ll keep your dog healthy, skin flawless and joints mobile. With 440 calories per cup, this is a perfect choice for owners who want results at a budget-friendly cost.